As you would expect from Kestrel, we work with only the very best materials. This is why we only use oak, ash, maple, walnut and cherry; woods of the highest quality, responsibly sourced to have minimal impact on the environment. We are committed to ethical trading and adopt a strict ‘Responsible Purchasing Policy’, to ensure that all the timbers we use are from legal origin and sustainable sources. This means you can be assured that every piece of wood used in your project comes from a well-managed forest. Kestrel is also the region’s founding member of the Kitchen Bathroom Bedroom Specialists Association (KBSA), whose members are dedicated to upholding the Association’s high standards of design, supply, installation and customer service. As the region’s only truly bespoke manufacturer of kitchens, as well as bedroom, bathroom and home office furniture, we never compromise on quality. 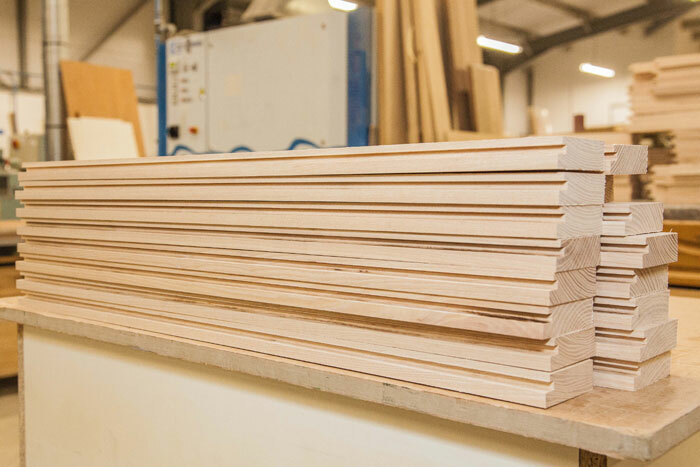 The quality craftsmanship that we provide here at Kestrel is the key to every aspect of your bespoke project. 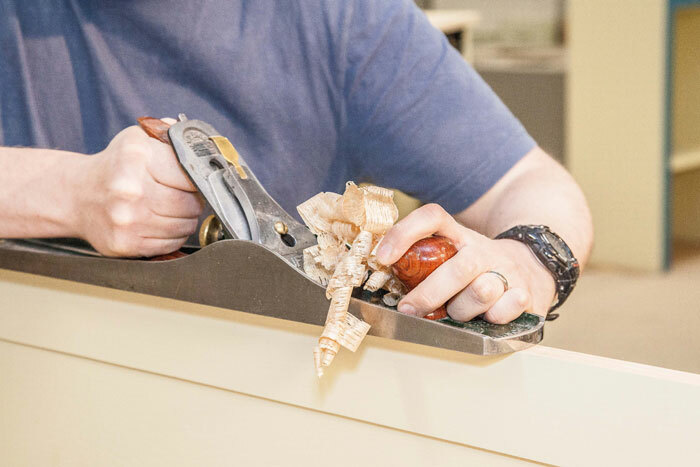 Not only does our team have a huge wealth of experience in traditional cabinetry skills, but we take pride in keeping at the forefront of the industry; combining our long-established expertise with 21st century technology. Our design team has over 50 years of combined experience and relishes the opportunity to design some of the region‘s most exclusive kitchens. 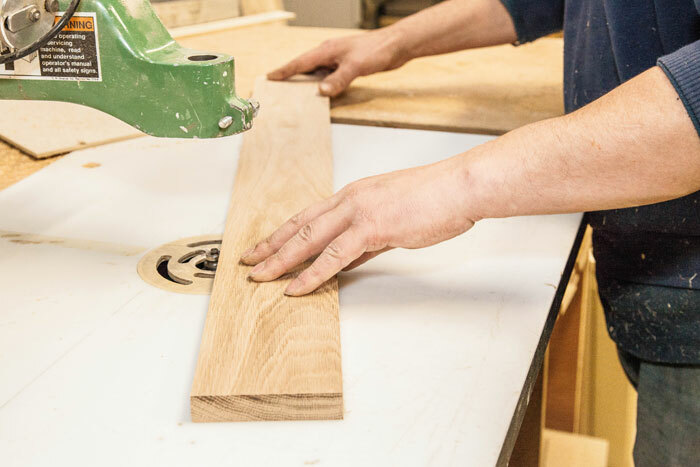 Working alongside them is our 15-strong team of highly experienced and skilled cabinet-makers. You name it, they have made it – in fact, there is no better team in the region. Whether we’re pushing the limits of design and manufacturing, or investing in our factory workshop, we move with the times, without forgetting our heritage. Kestrel is an independent, Norfolk-based company built on years of experience and expertise. Our close team of directors, kitchen advisors, designers and craftsmen is uncompromising when it comes to delivering stunning design, first-rate installation and exceptional customer service. Whether your favoured style is classical, traditional or contemporary, you can rest assured that your kitchen will be built to exacting standards by Kestrel’s master craftsmen. From cooking to entertaining, dining to relaxing with the family, the kitchen is the heart of the home. As such, it is one of the most important spaces to design, build and install, and we carry that responsibility with great pride – throughout every aspect of the project. When required, Kestrel will carry out site surveys, as well as pre-installation preparations and building work. And once your kitchen is installed, our experts are available for further assistance and advice, should you need them. As the region’s founding member of the Kitchen Bathroom Bedroom Specialists Association (KBSA), we are dedicated to upholding the Association’s high standards of design, supply, installation and customer service. Which means your peace of mind is guaranteed. Kestrel design with passion and flair. Our bespoke designers will work with you to create a totally unique design and guide you through the often daunting array of options available – making practical and inspiring suggestions about the best use of space and materials. Most importantly we will listen to what you want and work to ensure your design remains bespoke; delivering with you the perfect kitchen, bedroom, bathroom or office. Our highly experienced and knowledgeable experts care passionately about every aspect of design and manufacturing and are committed to ensuring they deliver perfection. We understand that your requirements are unique, so we treat every design as a truly personal project. Our design team are highly skilled in maximising the potential of any space and we pride ourselves on really listening to your needs to ensure that we create your dream design. Of course we also ensure the process is as smooth as possible. Your bespoke kitchen is lovingly handcrafted by our hugely talented team of master craftsman whose combined experience in the industry totals over 100 years. Meticulous in our attention to detail, every project we deliver is subject to Kestrel’s famous quality control process. So you have peace of mind that your project is built to last. Our team of expert fitters and joiners are the final cog in the wheel, ensuring that your project is completed to the very highest standard. From your very first step to the finished article, we are committed to providing you with both superior quality and an exemplary service. All that’s left for you to do is sit back and enjoy your dream kitchen.